Is your home in Glen Iris needs a complete overhaul when it comes to cleaning? You do not have to argue with a family member any longer on who’s turn it is to clean. You can call on GSR Home Cleaning Service Glen Iris and we will clean your place in a jiffy. Why is there a need to hire a home cleaning service? Simple. It gives you the convenience to do your personal stuffs, run your daily errands and have more time for yourself and family while professional cleaners do the cleaning for you. And with GSR, you are in good hands. 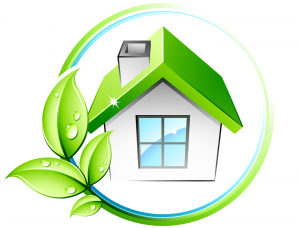 Why Choose GSR House Cleaning Services Glen Iris? GSR House Cleaning Service has been providing excellent cleaning operations all over Glen Iris and nearby suburbs. We offer a wide range of services to match your cleaning requests and meet your requirements. We have local professional cleaners you can talk with to discuss what you need and offer you with the solutions as a consultation, free of charge. We also provide upfront pricing with no hidden fees so you won’t be surprised before any work begins. Not satisfied with a few dusting here and there? Hire professional home cleaners like GSR Home Cleaning Services Glen Iris and we will give you quality home cleaning that meets Australian Standards, particularly in Victoria. We can also tailor-fit our cleaning solutions to make sure it is suitable for your preference and your home type. GSR also offers local cleaning services such as Commercial Cleaning, Local Steam Cleaning Melbourne, Local Move Out Cleaning Melbourne and Carpet Steam Cleaning Melbourne. Want to hire a house cleaning service today? Call GSR Home Cleaning Service now at 03 9547 7477 for a no-obligation consultation!